A bowl of raw soup makes me happy. 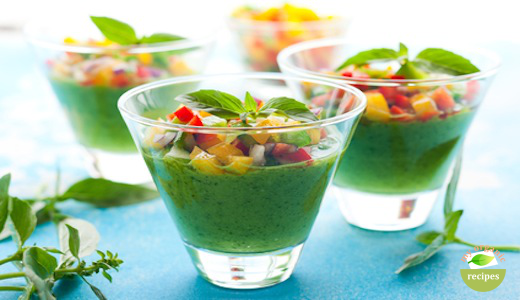 Spinach basil delicious soup is incredibly healthy, it is completely raw and takes few minutes to prepare. Looks tasty, right? 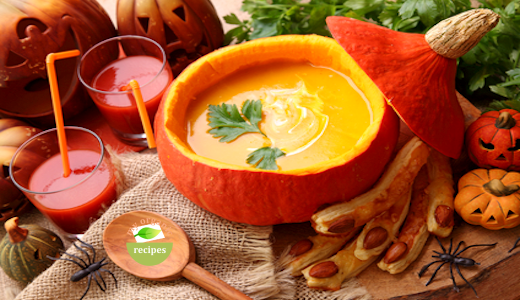 Try the very easy organic pumpkin soup recipe for Halloween. You can always add some homemade croutons or same parsley on top for decoration. 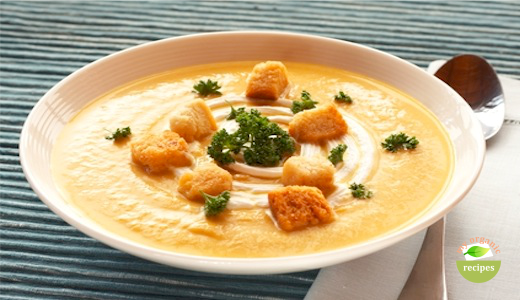 Roasted Butternut Squash soup is full of flavor. The garam marsala brings a sweet spice that really complements the flavor of the roasted butternut squash. I hardly want to turn the stove on with summer in full swing and with all this organic fresh vegetables form the garden. 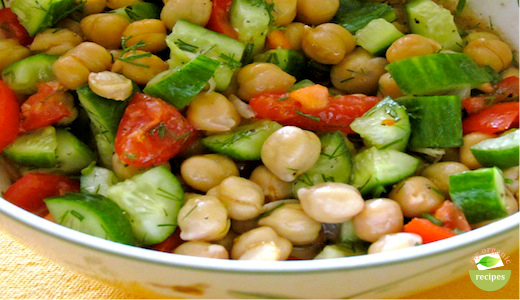 This garbanzo and cucumber recipe require no cooking. I made this salad for lunch or also could be a good side dish for some steaks.